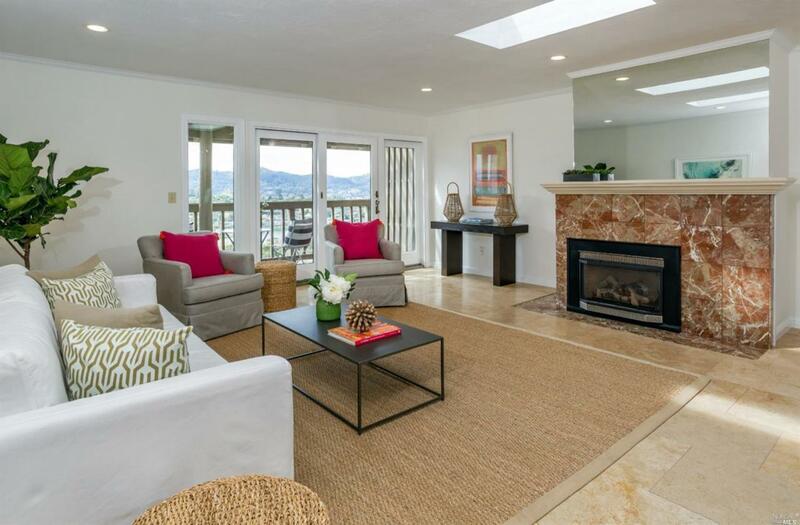 One of the very special locations in Tiburon, Marinero Heights! This spacious two-bedroom condominium features privacy, views, radiant heating, remodeled master and second bedroom, remodeled master bath, remodeled powder room, tile and hardwood floors, radiant heating, two gas fireplaces, excellent storage and a covered carport. Kitchen Breakfast Area Cntr Stone Slab Dishwasher Incl. Pantry Refrigerator Incl. Listing courtesy of Jim Fraser of Compass.